This entry was tagged Belief, Dance, Determination, Fear, Fight, Labels, Limits, Self-image. Bookmark the permalink. Me too Bridge. I was laughed at by my mom when I would try things. It was heartbreaking. I still don’t try physical things because of that. However, I raised 2 fearless boys into men. You got this! Thanks Janell. It’s ridiculous how much we want our kids to be stronger, smarter, healthier and happier than ourselves. But it’s a worth all the worry and stress to see them thrive. I wouldn’t change a thing. Once again your words are like reading my own. I was labeled early on after a terrible accident and that shaped me. Afraid to try anything new for fear of looking stupid. For if I didn’t try something new it would be impossible to fail. As I sit here reading and writing this I am watching my eight year old girl dancing in a lyrical class amongst 10-20 somethings. So free and so determined to do any move or combo demonstrated. Just feeling the music and dancing as if no one else is watching her. Oh how I admire her strength and determination. What I wouldn’t give to go back as her free and graceful and in unafraid to fail. So proud of both my kids of their bravery and willingness to try new things, possibly afraid of failing but doing it anyways and with all their heart and soul. I’m so proud as I watch them. So thankful that they will live a full life and not a half life taking risks and picking themselves back up if they fall. So thankful they did not inherit my debilitating fears. My failure to launch. And envious that I did not. You only get one shot in life. There are no do overs. I’m so thankful they choose to fight. So thankful they are not afraid to fly. Oh what I can learn from my children…they amaze me. Your post is an excellent reminder of how words can harm and hurt someone even when they’re overheard. Thanks for sharing! Go you!! It is so hard not to project your fears onto your kids – I really admire you for seeing beyond yourself and letting them fly, ready to pick them up if they need it. Hang in there, you sound like an awesome mum. I, too was beat down in that way. So, at some point, I just stopped trying to do the hard things. I stuck to things that were easy, things I couldn’t fail, and it has been a problem my whole life since then. I’m determined to shelter my son from those lies as long as possible. He has a learning disability and some things are incredibly difficult for him. But he has such a beautiful spirit and at nearly 7, he’s already ahead of his mama in doing the hard stuff. And I love that, because anybody can do the easy stuff…it’s the hard stuff that counts the most. Loved your story. Beautiful. Made me realize how true it is. Thank you. Similar background – everything – the words, the fears, manifesting that lie… My ‘hand-to-eye’ coordination has always been horrible and I was never told that you could practice your way through those things. When forced to volleyball, softball or tennis – I was inevitably saying “sorry” to my unfortunate teammates as I missed nearly EVERY ball that came my way. Update – I turned 50 two weeks ago. I’m still incredibly overweight and ‘uncoordinated’ – however, a group of amazing people from my church had a pool party for me and amidst this love and acceptance I put on the swimdress, got in the pool, and participated in the pool volleyball from the shallow end (it helped that they were using a lightweight, blow-up beach ball, slightly larger and more forgiving than an actual volleyball). We did not keep score, and the laughter and silliness made all the difference. But I DID IT! I hit that ball, made more than I missed, and for over an hour was carefree and enjoying being physical more than I have since I was 10 years old!! Yes! I was also not allowed to use the words “I can’t.” Perhaps I couldn’t dance or sing or solve math problems as well as the next child, but I could certainly try, and maybe even find a new talent. I JUST discovered your blog from the beach photo pic on MSN. Can I just say that I adore your writing, but more importantly, I adore how you are raising your kids! I read your picture story on MSN and had to click on your blog. You are an amazing women with more courage, power and grace than you may ever know. To write your experiences and heart for all to see is so impressive. I was blessed with wonderful parents and guidance from my teachers, I had never experienced such heartache until my eldest son was in middle school. He, like so many others, tried out for basketball. He was picked to be on a team, but when he got home he told me that he wasn’t going to join. I was so happy and proud he was picked, but confused at why he wouldn’t play, I asked him “why”? He said that they “cut” so many kids (some of who he thought was better at it than him) because the coaches said they weren’t good enough. He saw the look of hurt and disappointment in their eyes, he couldn’t play for someone who thinks they have the right to tell a kid “you’re not good enough”. I am a Momma Bear. I marched up to the school and spoke to the Principle. I shared what my son had said and reminded her that no one has a right to tell a child, “you’re not good enough”. By the time the meeting was over, she had called the head coach and school activities director and had committed to hiring another coach for another team. All of the kids who wanted to play did, and some of the kids who were originally cut, ended up on the “A” team. My boys are grown and out on their own now. My husband and I have adopted three other little ones and yes I am still a Momma Bear. I remind all teachers who are selected to be my children’s teachers, “You have the ability to make a life-long affect on a child’s life”. Thank you so much for sharing. We can all be reminded that actions and words can affect a person’s life for always. I enjoyed your blog immensely. I was always a “can’t do girl” and now at 58 I am becoming a yes I can girl. Thanks so much for sharing and I hope to read more in the future. You deserved to have someone tell that teacher (a) that children develop a different rates and you weren’t ‘done’ yet, and (b) it was worth the investment for the joy you got from dancing. As someone who took ballet lessons in the ’70s, ‘joy’ wasn’t on the teacher’s agenda. 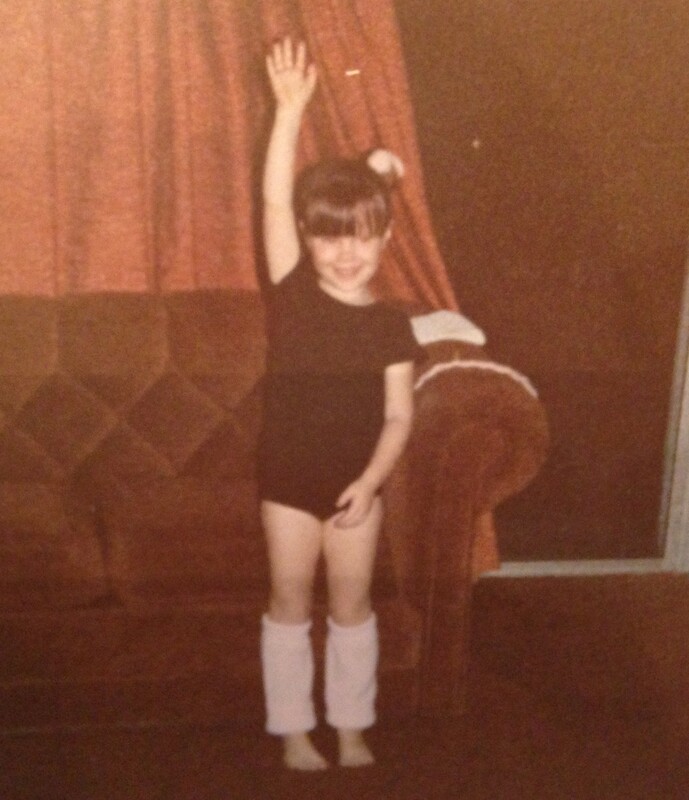 I stopped taking dance lessons because the joy was missing – my coordination was fine. I am a 64 yr.young women that can say that u are telling my story,my Children are grown now but all the things i could not do They Can! !Thank You so much for your story ! I look forward to more!And your kids are right your beach picture is beautiful!! You should have been encouraged to dance. Your teacher should have seen your interest. So few actually practice outside of rehearsal. You might have improved, or moved on, but as a child, you need opportunities. I’m a swim coach, and know better than to suggest that someone can’t do it. I may suggest a change to something more in line with a swimmer’s strength (and there is always a strength), and I have suggested that parents not push until a child matures, and had them come back later to say thank you. The only time I discourage parents regarding their children is when it is clearly something they are pushing on their kids. Just went back to read the rest of the essay– Take heart: I was the last picked in Gym and now I’m a coach!!! HA! My PE teacher is probably long since dead, or the idea would give him a heart attack. We never did the things I did well in gym– a day here or there of monkey bar things, but mainly a game of Nuke’Em (Whose idiotic idea was THAT game?!). I do open water swimming and have done Olympic distance triathlon– some consider my favorites events “elite” sports! What a hoot!! Lovely essay– and lovely blog. I’m glad I saw your swimsuit article on yahoo. I expect your kids to snap a photo of you on skates someday. You want to try– DO IT. It is one thing to sit back and watch once in a while, but you need to set an example. You need to try the things you WANT to try. No fear. You have fabulous kids. You need to let them see you be fabulous. You stop beating yourself up on the actives front, and I’ll get cracking on my own blog– Deal? I started it, but it is scant at this time. Adding another love note and thanks for sharing the beach photo which pulled me into the story, to the blog so I could share it on Facebook. Then I found your ballet class story and the connected trauma and life lessons and beauty that came out of it. My beloved ballet classes also ended abruptly, because at age six one time I wouldn’t do a command performance in front of a stranger. Now in my 50’s, I think about how young and overwhelmed my mother was, then 35 with 8 kids between 18 and 3. She was doing the best she could in a difficult situation, with little training; like all mothers she made some big mistakes! I understand and forgive her. My own challenge has been to stay strong in my own beliefs, priorities and passions, after a lifetime of being too easily discouraged. My courage is easier to hold onto as I walk strongly in midlife, with my youngest now nearly 18. I’m preparing to enter college in the fall, surrounding myself with friends who truly support each other with compassion and love. And I’m finally going to start dance class again. Like so many others, I recognized myself when reading this. I was the last one to be picked in PE, a slower runner than all the rest, and terribly uncoordinated, long limbed and short sighted as I was. I was not a natural fighter and no one ever, ever told me “you can get better if you practice!”. I was a reader, not a “physical stuff” girl, and I accepted that I could not run, could not ski, could not skate, could not play balls, would never manage a cart wheel (that is what it is called?). Like you, I am so happy to observe my kids do all these things, but also: I decided that it is never to late to try to get better. I skipped wolleyball, decided that it is not worth it, but besides that? When I was 30 I ran my first marathon. I am now a runner. I don’t run fast, probably never will, but each year I run a bit faster than the year before, and I have completed 6 marathons and countless shorter races. When I was 35 my oldest son were to learn downhill skiing. Inspired by the recent US presidential campaign (I kid you not!) I decided “yes, I can!” and on a whim I bought myself the skis and boots and lessons to learn it with him. I am not a great skier, but more that good enough to enjoy it, even now that all 3 kids outskis me. We live next door to a outdoor skating field where the kids skated and skate a lot, and when I was 37 they got me skates for Christmas. 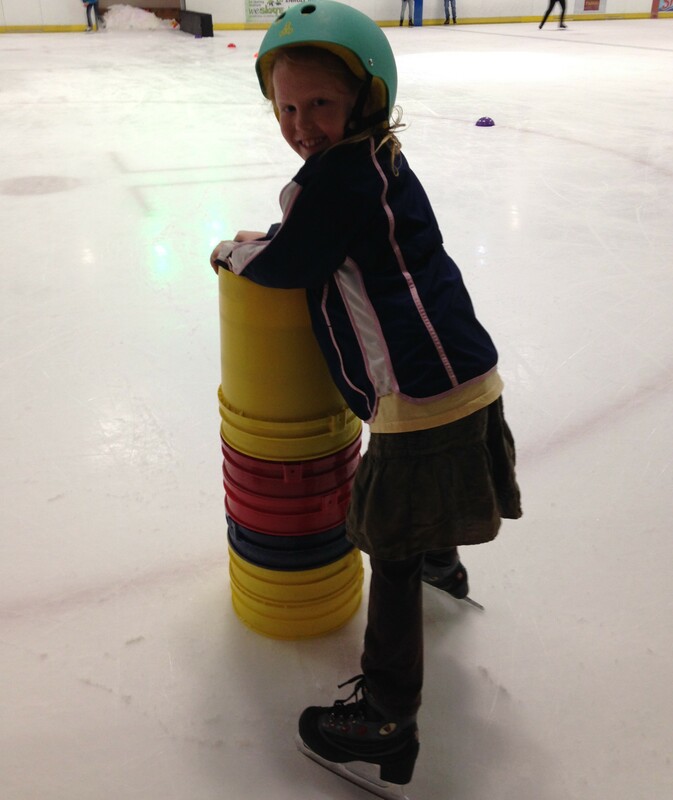 I am still a horrible, HORRIBLE skater, but I am there with them, and the children take great pleasure in outskating me and trying to teach me stuff. And my 2 boys both play bandy (with skates, like hockey but outdoors, on a soccer size field, and with a small ball, fastest team sport in the world), and I am a puzzled and confused and enthusiastic “bandy Mom” – on skates. In Norway, not being able to ski cross country is a great social handicap. It is central in weekend trips and casual socializing. I was “not a skier”. And then decided to “yes, I can” when I passed 40. I swallowed my pride, took beginners lessons, and now – I ski! Not well, but better for each season. This is of course a great pleasure for me. But I believe I also set a good example for my kids. Don’t be afraid to try. You don’t have to be great as long as you enjoy it. Don’t worry that you look hideous. You can get better at everything if you try. I am considering finding someone to teach me to do cartwheels. I encourage you to find someone (maybe your kids?) to teach you to skate! Yes, you can!